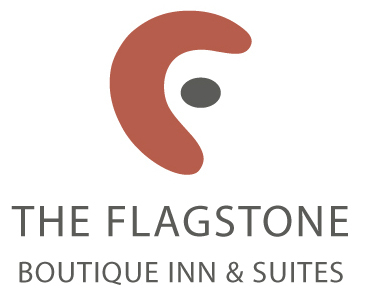 Flagstone Studios in Kanab, Utah is a great headquarters for exploring all of the area’s scenic and recreation destinations, such as Coral Pink Sand Dunes State Park, Bryce Canyon National Park, Grand Canyon, Lake Powell and more. In addition to the magnificent state and federal parks, the nation’s largest animal sanctuary, former Western movie sets, and a historic Mormon fort are all within a 20-minute drive of The Flagstone Inn. Located at the crossroads of many scenic and recreation areas, including the North Rim of the Grand Canyon, Lake Powell, Bryce Canyon National Park Grand Staircase-Escalante National Monument and Zion National Park. Kanab, Utah is the Ideal Spot for your southern Utah vacation. The immediate vicinity is a scenic wonder itself with vermillion cliffs towering over the town and majestic mountains looming on the horizon. 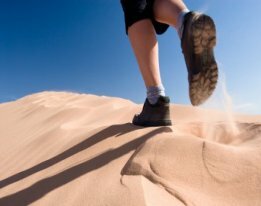 Kanab’s close proximity to amazing scenery and pleasant year-round climate makes it an enjoyable vacation destination. Our hotel’s goal is to make your stay as enjoyable as we can. 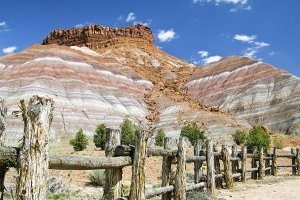 To the immediate North, there are to incredible pink hoodoos of Bryce Canyon National Park and Cedar Breaks National Monument, the plant and wildlife (including elk and mule deer) of the Dixie National Forest, and the sandstone chimneys of the Kodachrome Basin State Park. To the East lies 1.7 million rugged acres of the Grand Staircase-Escalante National Monument with its Grosvenor Arch, the fun boating and exploring of the Glen Canyon Recreation Area, and the primitive beauty and unique geology of the Paria Canyon-Vermillion Cliffs Wilderness Area with its famous North Coyote Buttes (“the Wave”). In the South is the spectacular North Rim of the Grand Canyon National Park, the unique California Condors of the Kapirowitz plateau, and the gorgeous Kaibab National Forest. And to the West is the heavenly Zion National Park with its towering cliffs and beautiful narrows, the historic Pipe Springs National Monument, and splendid Coral Pink Sand Dunes State Park. Our Kanab hotel is perfect for your southern Utah adventure. Check out the local State and National Parks within a 80 mile radius of our Kanab inn.